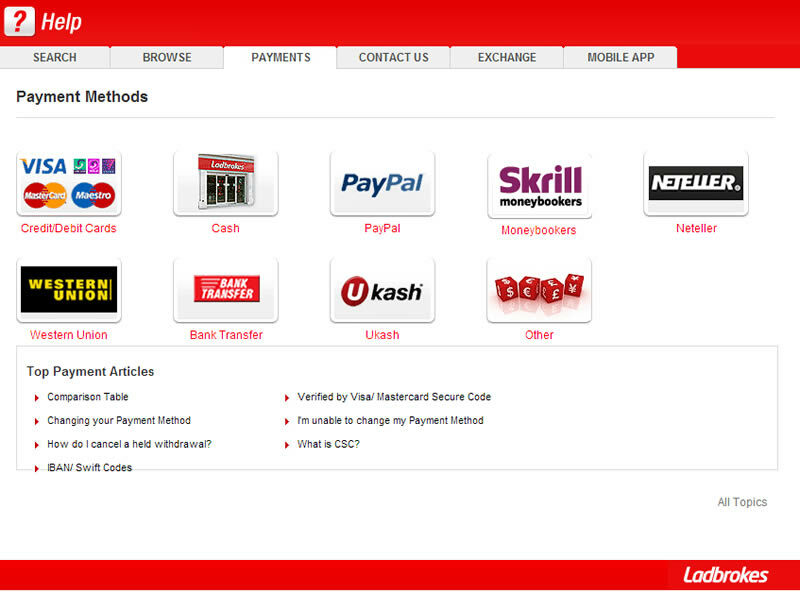 Ladbrokes is the world’s largest fixed-odds betting company. 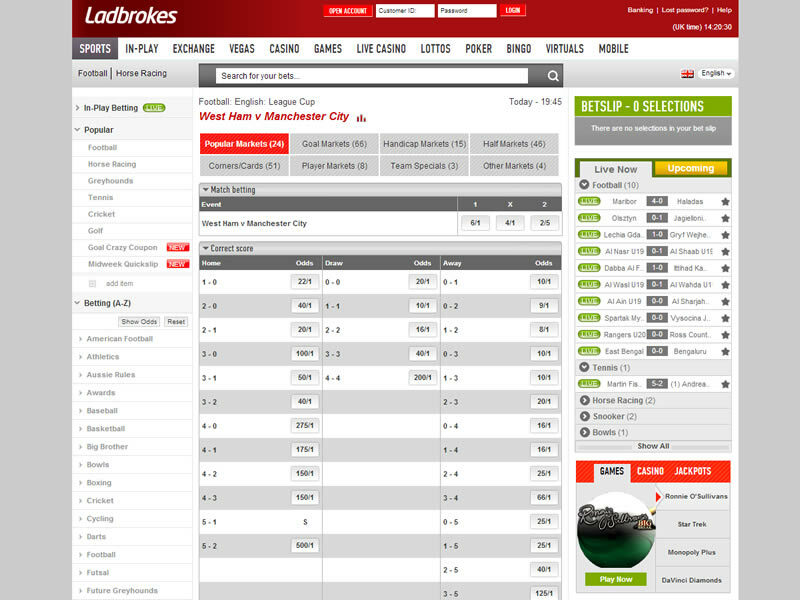 For a wide range of markets and variety of bets you need look no further than Ladbrokes. 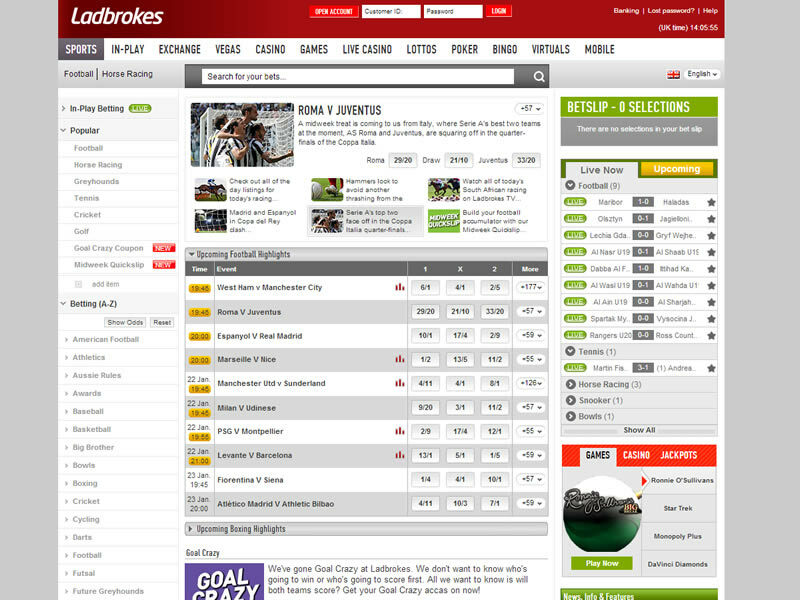 The Ladbrokes brand in the UK is synonymous with betting and gaming. Today the company, whose origins stretch back to 1886, employs 14,000 people in five countries, making it the world’s largest fixed-odds betting company. In retail Ladbrokes is the leading bookmaker in the UK, Ireland and Belgium with over 2,600 owned and operated betting shops. It also operates betting facilities at most of the leading FA Premiership grounds and a number of leading racecourses. 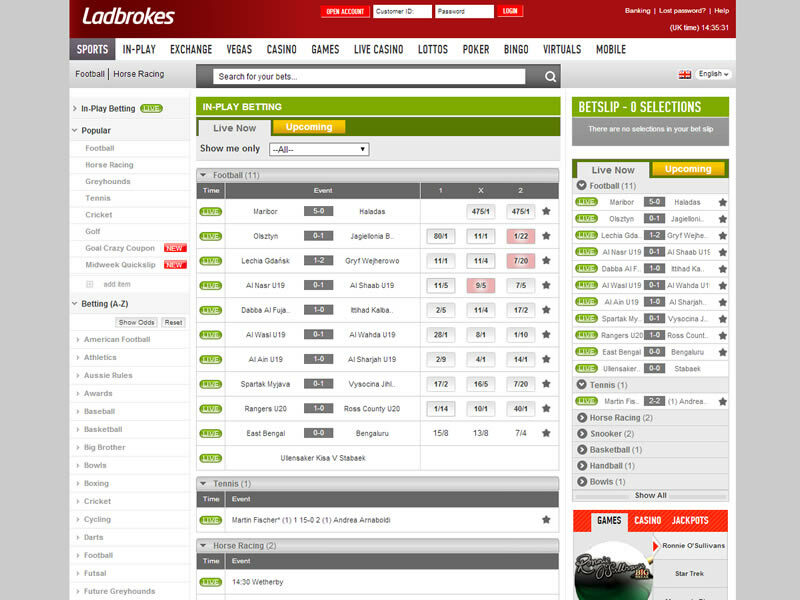 Ladbrokes are well renowned for their comprehensive Horse Racing markets from around the world. They offer a very thorough and credible statistics section and it is even more impressive if you are betting on horses or greyhounds. Throw in the fact that you can listen to their online audio broadcasts and you’ve definitely got a winner in that respect. They are also usually well stocked on special markets and customer support is available 24/7. Register using Promo Code FB50. Place a single bet of at least £5 and we’ll match your stake with a Free Bet up to £50. 18+. New customers only. Promo code ‘F50’ required. Certain deposit methods excluded. Min £/€5 on win or each-way bet excluding Tote or pools = match max £/€50 free bet. Min odds 1/2 (1.5). Bet must be made within 14 days. Free bet valid for 4 days. Free bet stake not returned. Single bets only. Free bet cannot be used on certain markets.